TALKING TO HEAVEN... or with Demons? As the term suggests, a medium is an individual who is a middleman or mediator, a person who goes between the spiritual and physical worlds. A medium is able to use energy to reach through the thin veil separating the physical life from the spiritual life. "For there is one God, and one mediator between God and men, the man Christ Jesus." James Van Praagh is of the Devil, and he is the enemy of God (James 4:4). No one, other than the Lord Jesus Christ, can MEDIATE between man and God the Father. The entire notion that we can communicate with departed loved one's, or spirits, through a medium is Satanic to the core. The Word of God commands us... "Regard not them that have familiar spirits, neither seek after wizards, to be defiled by them: I am the LORD your God" (Leviticus 19:31). A familiar spirit is any spirit that is not the Holy Spirit. To seek advice, help, or guidance from any spiritual source other than God is witchcraft. When it comes to spiritual matters, it's either God or Satan. Millions of people today are foolishly seeking guidance and comfort through mediums and psychics, such as: John Edward, Char Margolis, Sylvia Browne, and James Van Praagh. We are commanded in 1st John 4:1, "Beloved, believe not every spirit, but try the spirits whether they are of God: because many false prophets are gone out into the world." To "try" a spirit means "to test" it. We test a spirit by shedding the Light of God's Word upon it--whether it be a book, a doctrine, a law, a movie, a statement, a philosophy, etc. The Bible is the Final Authority! So where do bad or evil people go? They go to the heaven, or the hell, that they have created based upon their words, thoughts, and deeds while on earth. They, too, exist with other beings who are on their level of spiritual evolvement. In this book, I hope to clarify these beliefs so that your questions about God and the spirit world may be answered as mine were. Mr. Praagh teaches that our salvation is based upon our own words, thoughts, and deeds; BUT, the Word of God teaches that we are dirty, rotten, sinners incapable of saving ourselves (Romans 3:10,19-23). Ephesians 2:8-9 states... "For by grace are ye saved through faith; and that not of yourselves: it is the gift of God: Not of works, lest any man should boast." Regardless of how good your words, thoughts, and actions are--you will burn in Hellfire if your don't get born again! Romans 4:5 states... "But to him that worketh not, but believeth on him that justifieth the ungodly, his faith is counted for righteousness." James Van Praagh WON'T ever tell you this, because the sinful world would reject him in a heartbeat. Mr. Praagh is a Modernist, i.e., he speaks about God and spirituality; while DENYING the Word of God. Mr. Praagh avoids the Bible like the Black Plague, because he is an imposter, and knows nothing about the Living God of the Bible. Mr. Praagh teaches that we CREATE OUR OWN heaven or hell. In sharp contrast, the Bible teaches that God created Hell (Matthew 25:41), and Heaven (John 1:1-3). Spiritual evolvement? This is New Age brainwashing. New Agers believe in Karma, and reincarnation. On page 252 of TALKING TO HEAVEN, Mr. Praagh teaches about the body's seven chakras, or seven main energy centers. This is the exact teaching of Kundalini yoga, which is demonic. Each "chakra" is supposedly a pathway to one of the presiding deities ( i.e. demons) over one of the planets in our solar system. This is demonic New Age doctrine. Mr. Praagh speaks continually throughout his book about the body's spiritual energy, and cosmic forces; BUT, he never quotes the Word of God. How can a man sincerely claim to answer one's questions about God if he doesn't even open the Word of God? James Van Praagh is an unsaved Modernist! This is the New Age God, the god of SELF. New Agers view god is merely an energy force that exists in all creation. New Agers reject the Biblical truth of a divine Godhead. New Agers believe that we all have the potential to become gods, through mediation, self-improvement, and spiritual evolvement. In sharp contrast, Jesus taught in John 15:5, "...for without me ye can do nothing." New Age rejects the deity of Jesus Christ, the Godhead, a literal Heaven and Hell, etc. 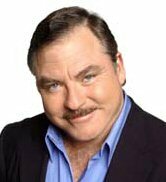 James Van Praagh is a false prophet, who offers false hope, and has sinfully redefined God into his own twisted concept. God is an individual, a person, with whom we can communicate through His Son Jesus Christ (John 14:6). According to 1st John 2:22-23, to deny the Son is to also deny the Father. New Agers like Mr. Praagh have neither the Son, nor the Father. In effect, James Van Praagh is a staunch atheist, because He has willingly denied the God of the Bible. The god that Mr. Praagh believes in is a false god, which will one day burn with him in Hell. I didn't write this article to be unkind, nor to attack anyone; BUT, rather, to expose the demonic religion of New Age, and the damnable teachings of one of it's devoted followers, James Van Praagh. We are surrounded by Christ-rejecting Modernists everywhere we turn these days, who deceitfully talk about God and spiritual matters, which they are woefully ignorant concerning. The best advice I can give you is to reiterate the precious Words of the Savior in John 5:39... SEARCH THE SCRIPTURES!! !